As Walmart sellers, it is important to use Point of Sale (POS) and inventory data to establish effective business plans. Walmart’s Retail Link® is the answer to collecting that data and interpreting it. Sellers can manage inventory, predict product popularity and assess seasonal needs. They can understand their consumers by using the available data. 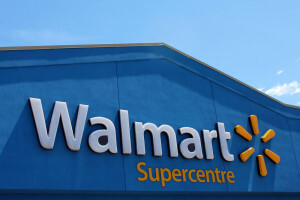 Knowing Walmart’s lingo and retail math also helps when analyzing curated data. Retail Link® is a seller’s best weapon to increase sales and manage any size inventory to ensure maximum profit. Retail Link® is not new. In fact, it is over a quarter century old. It started as a way for retailers that sold through Walmart to be able to track sales. This allowed retailers to automatically replenish items. After that, an automated inventory management system was born. Products were almost always on hand in retail locations allowing for excellent customer service with the automated system in place. In 1997, Retail Link® went through its first of many upgrades and transformations. It was put onto an extranet. The extranet gave suppliers access to Walmart’s inventory system and resulted in a much more efficient process. At the beginning of the new millennium, Retail Link® changed itself yet again. It evolved from a simple inventory and supply chain management program into a data mining super system. This innovation pushed Walmart to the top of the retail food chain as it could easily pull sales data and interpret it. The data helped improve sales and manage inventory based on demand. Several years ago, Retail Link® innovated again with vast improvements in POS data and analytical supply chain information. These advancements have kept them on top of other retailers. It has also afforded them the space to push innovation and data mining even further. Retail Link® had its start with inventory management and continues to be a force in its analytics. Walmart’s Retail Link provides real data regarding on-hand products and those sold. ems and have them ordered daily. g patterns, will help a retailer know what to stock up on or what to skip this time around. Data mining is a tool that allows brands to understand buying patterns in depth from POS and other data collectors. It is vital to creating models for buying patterns, predicting consumer needs, and maximizing profits. Data collected has bearing on everything from price to marketing. For this reason, Retail Link® can be used to grow and maintain a brand that sells through Walmart. Walmart’s Retail Link® System, with so many data points, is invaluable to its sellers. However, the amount of data can be overwhelming and confusing if sellers don’t understand what they are looking at. Retail Link® Specialist is becoming an increasingly popular career path as it requires knowledge of several areas of retail. In addition to knowing how to mine data from these reports, specialists learn how to “speak Walmart”. As well, they are typically knowledgeable in all retail sciences including math. They can create custom reports and models. Also, they can help with setting prices and predicting inventory needs. Data mining also leads to a positive consumer experience. For instance, a seller can analyze their data from the summer season and highlight the items that sell out every year. Retail Link® can provide that data to the seller. The seller will know that, prior to summer, additional units will be in demand. In addition, before running a special, the seller will know how to adjust inventory. Ensuring an in-stock product is one of the top ways to provide excellent customer service. Retail Link® captures data from a POS. Then, consumer models and marketing plans are created with the data. A seller who knows what items a consumer purchases together with other items or when they purchase can create a successful marketing plan. For instance, consumers only buy peanut butter when it is on sale with jelly in the winter. Using that data, a seller can create a pricing promotion or a marketing campaign around peanut butter and jelly sandwiches. Consumer models are also created. Using Walmart’s Retail Link®, data predictions can be made based on weather, political climate, stock market stability, and even the housing market. If a snowstorm is predicted in Boston, a model is created to make sure sellers have certain items in stock like shovels, gloves, and rock salt. Walmart sellers can efficiently manage their inventory and supply chain and manage investment gap by using Retail Link®. They can also maintain stock levels, create marketing plans and ensure great customer service. Retail Link®is a registered trademark of Walmart Stores, Inc.
Eighteen Knowledge Group LLC is not affiliated with, sponsored by, or endorsed by Walmart Stores, Inc.
Sharon Shichor is the CEO of Eighteen Knowledge Group LLC. Eighteen Knowledge Group LLC is your solution and knowledge base for brand building and getting your products in the hands of consumers. With over 15 years of wholesale-retail experience, Sharon Shichor speaks the language of Walmart fluently. Want to learn more about Walmart’s Retail Link® ? Visit our Company page and blog for more on the subjects that affect your company’s daily operations the most!